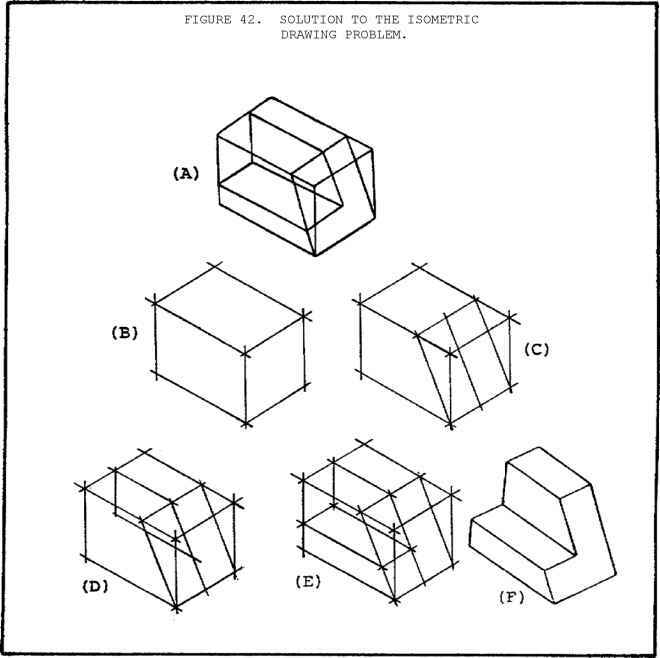 ISOMETRIC, OBLIQUE, AND PICTORIAL DRAWINGS. 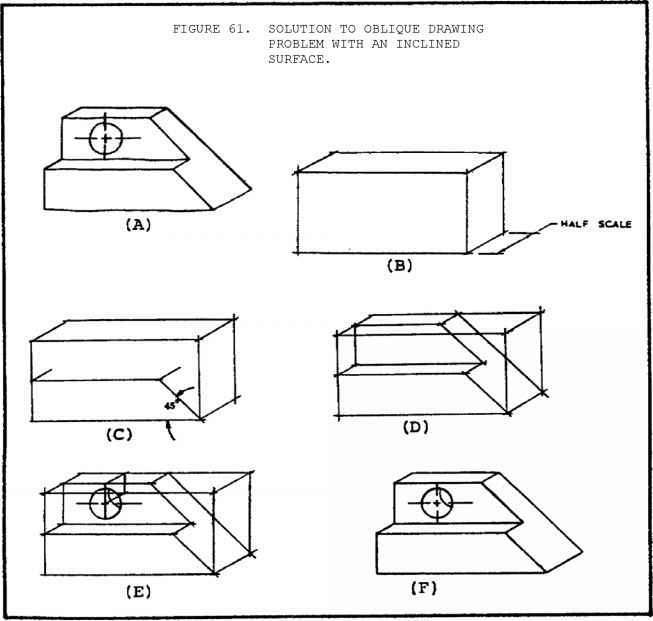 The basic reference system for oblique drawings is shown in figure 56 (on the following page). 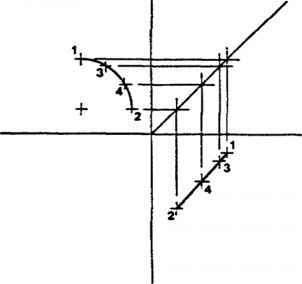 The most distinct characteristic of the oblique axis is the 90 relationship between the left-hand axis and the vertical axis. 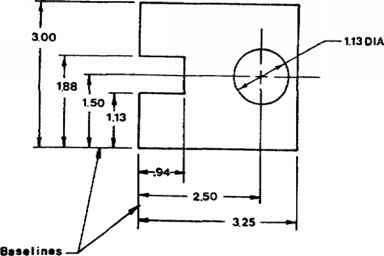 Because of this 90 relationship, the front view and all surfaces parallel to it are almost identical to the front view of an orthographic drawing. 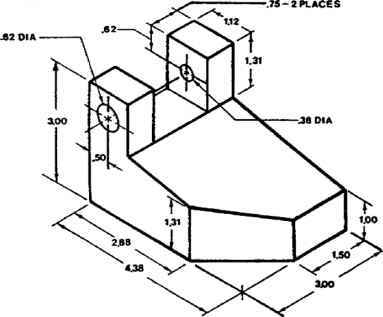 This makes it very easy to transfer information between the two different front views. 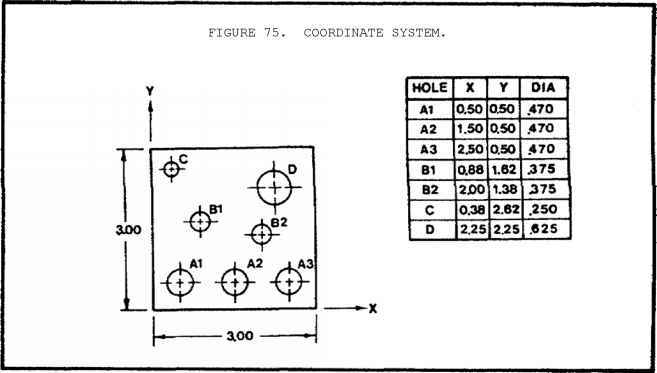 The basic reference system for isometric drawings is shown in figure 36 on the following page . 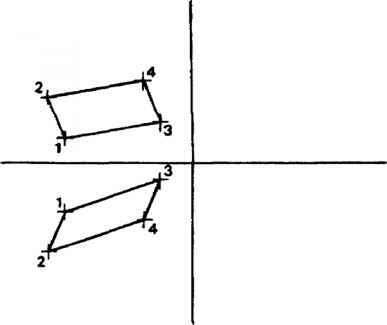 The three lines are 120 apart and may be thought of as a vertical line and two lines 30 to the horizontal, which means that they may be drawn by using a 30-60-90 triangle supported by a T-square. 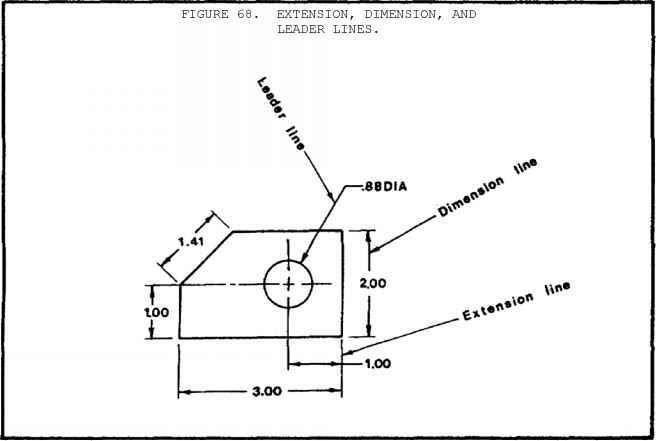 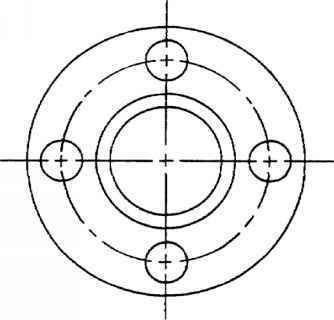 All isometric drawings are based on this axis system. 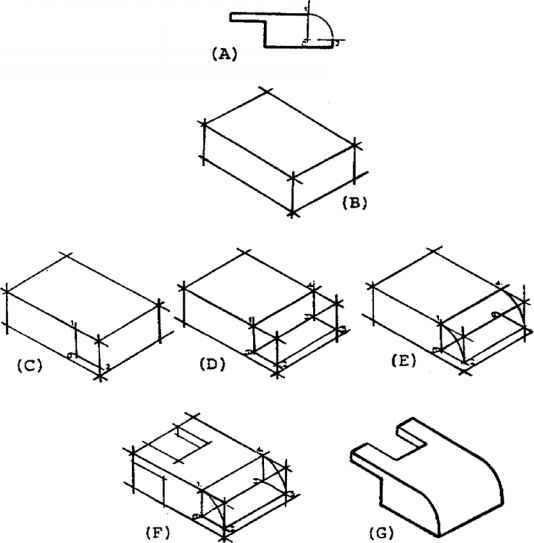 Figure 66 on the following page illustrates a full-oblique sectional view, and figure 67 on the following page illustrates a halfoblique sectional view. 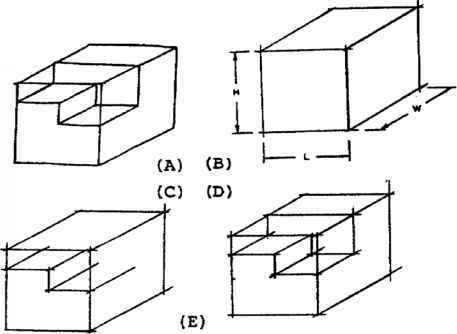 Oblique sectional views are drawn in the same sectional views are drawn. 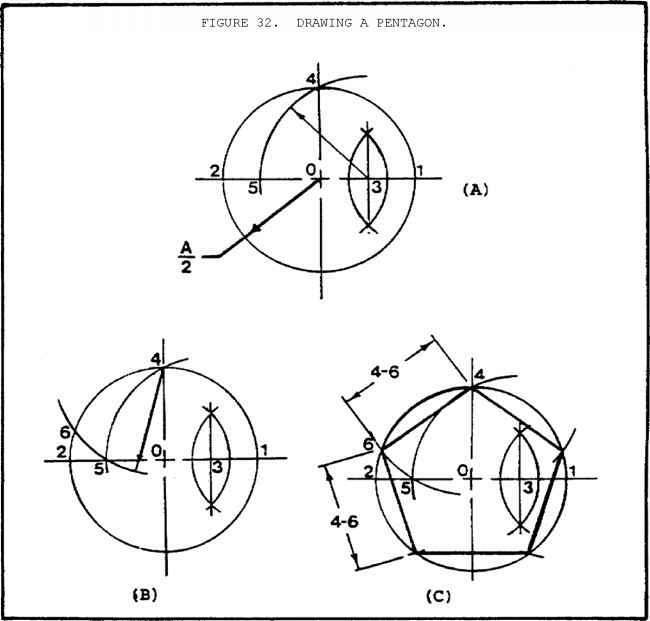 Since the only difference between the two sectional views is the defining axis system, the information given in paragraph 2f, page 63, may also be applied to oblique sectional views. 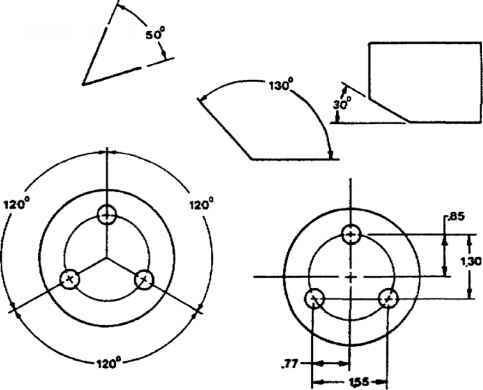 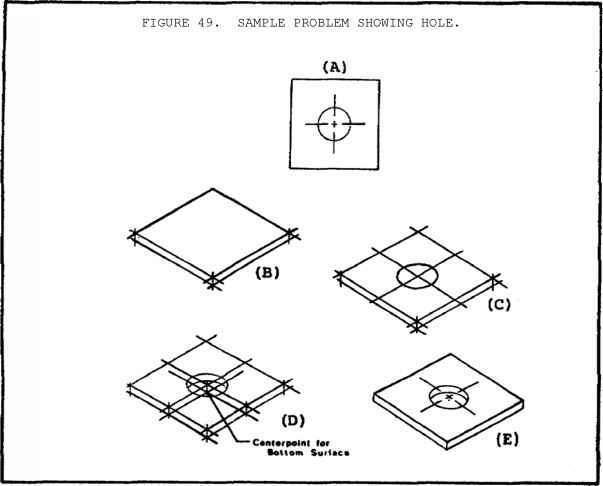 Figure 40 on the following page is a sample problem that involves the creation of an isometric drawing from given orthographic views that contain a slanted surface. 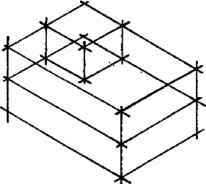 The slanted surface is dimensioned by using an angular dimension. 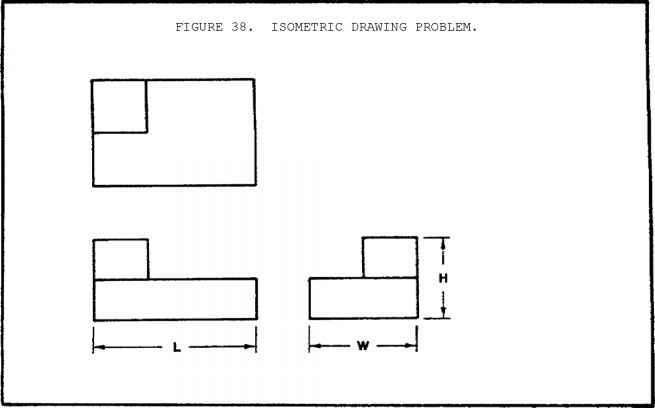 That presents a problem because angular dimensions cannot be directly transferred from orthographic views to isometric drawings.